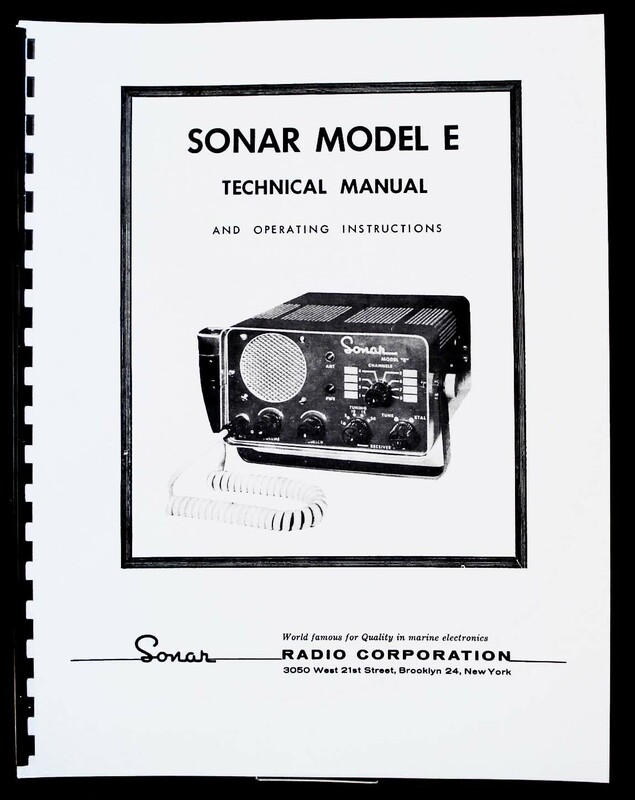 For sale is reprint of Sonar Model E 8 channel CB manual. Manual is 26 Pages long, includes part list and 11×17″ foldout of schematic. Manual describes installation, operation, antennas, service and alignment.